Divine! A great choice of filling. I love your idea of having a theme for holiday baking! these look absolutely fabulous! 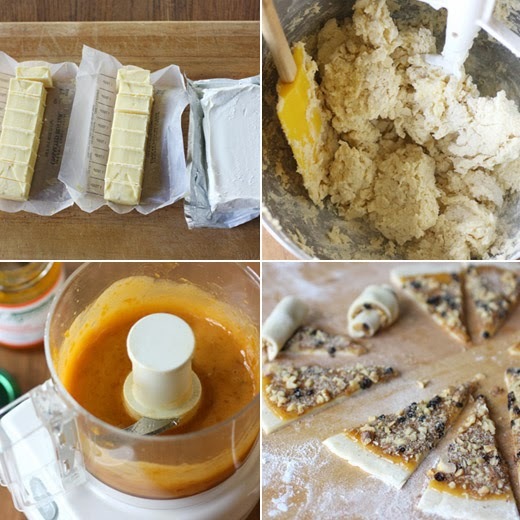 I have made these cookies so many times and absolutely love them! They are a holiday favorite in my house, I make them several times each year. Rugelach is one of those things I've had dozens - hundreds! - of times, but never made. Gotta do it! Yours look wonderful - thanks. I've never had them, and now I want to bake a batch to see what they are all about! Hope you are having a wonderful end of 2013, Lisa! Yum, these look gorgeous Lisa! I've never tried one... nor made one, but I think it's time that I change that!! Thanks for the great instructions. Hope that you had a wonderful Christmas, all the best for the start of 2014! Love rugelach a lot! They are kinda addictive. Yours look very tempting, Lisa. Looks so delicious Lisa! Rugelach is something I've never made before. Happy New Year! Dear Lisa, My grandmother made these cookies in all flavors. These are one of my very favorite cookies!!! These are just lovely. 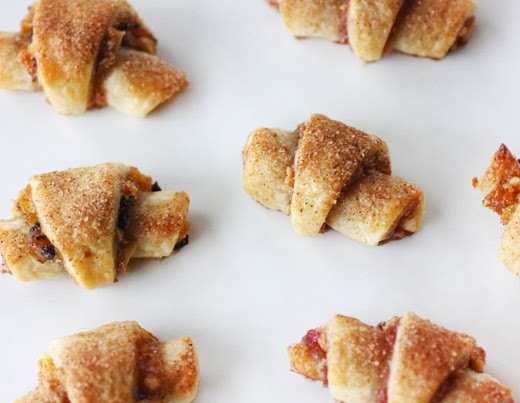 I've always wanted to make Rugelach, and now I want to make a batch even more. Thank you for sharing! These do some amazing. Have bookmarked the recipe. Wishing you and your family a Happy New year. Note to self: do a cookie/dessert theme next year! That is such a fun idea. 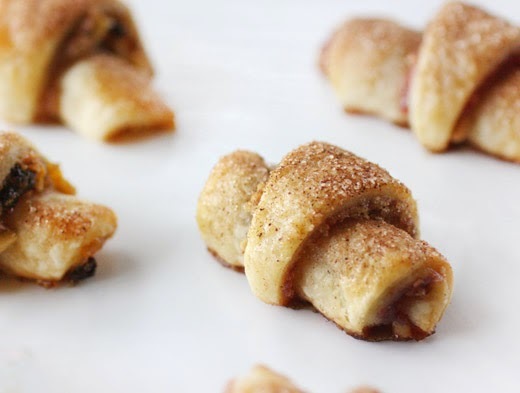 I made rugelach once, years ago, but I think it's time to revisit them...they are one of my favorite cookies, after all! I have never baked Rugelach. This looks so tempting...i think, I must try it now. When I made this (which never made it to the blog btw) mine did not come out as good as yours. My stuff just oozed out. I think if I froze them briefly then that would have helped as my kitchen runs hot. Happy New Year to you my dear. Thank you for always leaving such nice comments on my blog! I've always heard of these but never tried them! These will do nicely for the new year. Happy New Year, Lisa. Your cookies look sensational - perfect for Christmas or any time!